Not having any family in the area means nights out are few and far between. Finding a babysit is hard and when we do have family in town, we feel guilty about just dropping L with them and leaving. They always offer, but we want to spend time with our family too. L’s preschool gave us the perfect opportunity for a night out. They held a Drop-n-Shop on Friday night and even though we have all of our Christmas shopping done, we still took advantage of the event and went out for a nice, leisurely dinner. We wanted to go someplace where we wouldn’t feel comfortable taking L. Bell’s was an option because it was Eccentric Day, but we do Bell’s all the time. Instead, we chose a place that we have been trying to go to for several years but could just never find it open. 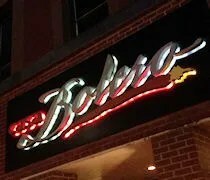 Casa Bolero opened almost five years ago in Kalamazoo’s Central Business District. The restaurant is on Portage Street just to the south of East Michigan Avenue across the street from Olde Peninsula. I mentioned we’ve tried to go a couple of times. Once was when they used to do lunch, but we must have caught them after they stopped. It was pretty close to when J was due with L. It was going to be our one last lunch without a baby, but we ended up at Central City Tap House after finding Casa Bolero closed. The other time was a little more odd. It was actually New Year’s Eve when J was pregnant with L. We called to make reservations and they told us they were going to be closed…..on New Year’s Eve. We just kinda chuckled and said OK, then made decided to go to Rustica instead. We had back-up plans this time just in case they weren’t open as seems to be our luck, but once we parked in the parking lot off Bates Alley, we noticed people inside and it calmed our fear of the place being closed. Even though it was a Friday night, we were still a little ahead of the big dinner rush. A hostess grabbed a couple of menus and the drink menu then showed us to a table for two along the back wall of the main dining area. We were both grateful to see that table open as the other option for parties of two is the dreaded shared bench. You know the thing. A bunch of two tops pushed uncomfortably close together against a bench on one side and chairs on the other. We’ve done that at several different restaurants and hate the option every time. We were both very happy to get a much more “private” table away from other couples. J grabbed the drink menu first after noticing Friday is half off margaritas until 7:00. Once she was done, I grabbed it to look for a beer. We were both starting to worry this visit was going to go south really fast when it took ten minutes for a waitress to come get our drink orders. We weren’t in any hurry, but we were wanting to get started with dinner. One of my biggest restaurant pet peeves is waiting for ever for the initial contact. Once we were finally noticed, a waitress came over to get us started. J opted for the Cinnarita. Typically, she likes margaritas frozen, but the options were up or on the rocks, so she went with on the rocks. 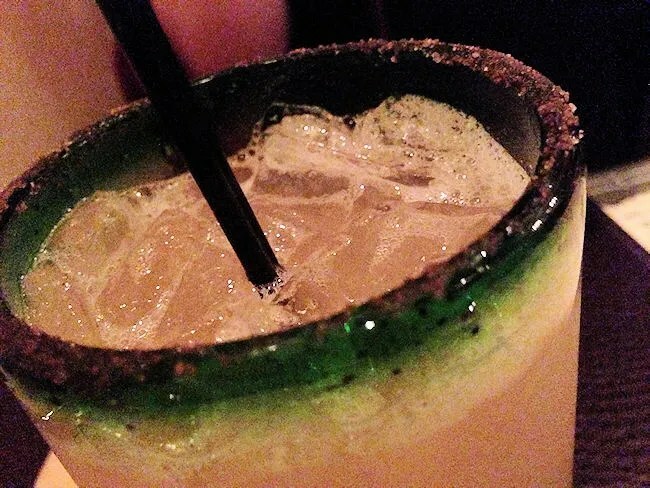 The margarita is cinnamon and pineapple infused tequila with a lime mix and a cinnamon sugar rim. I thought it sort of had an apple pie taste to it, but J loved it. I passed on the local craft beer and instead went with a Mexican import. 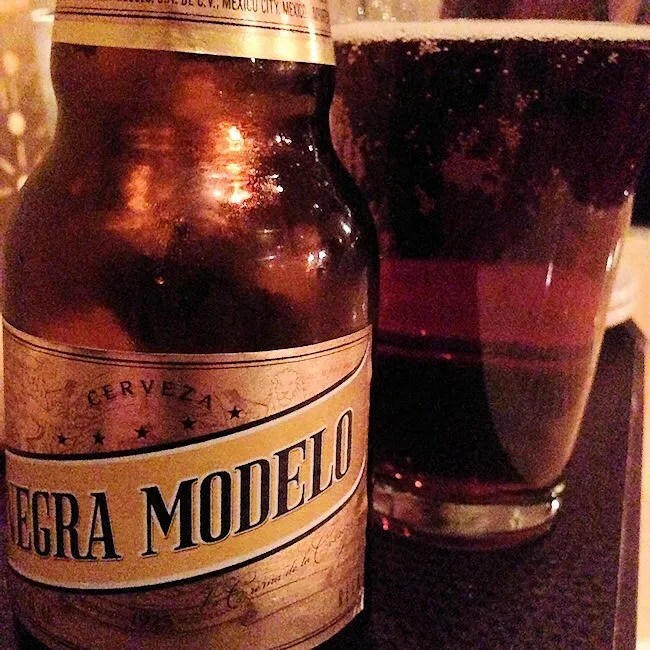 None of them really sounded like anything off the charts to me, but I ordered a Negra Modelo anyway. I was hoping it would be a draft, but it was a bottle. The waitress brought me a glass so I could still pour it out. It wasn’t a bad beer. Beer Advocate lists it as a Vienna Lager. It has a dark appearance to it with that kind of carmel flavor. 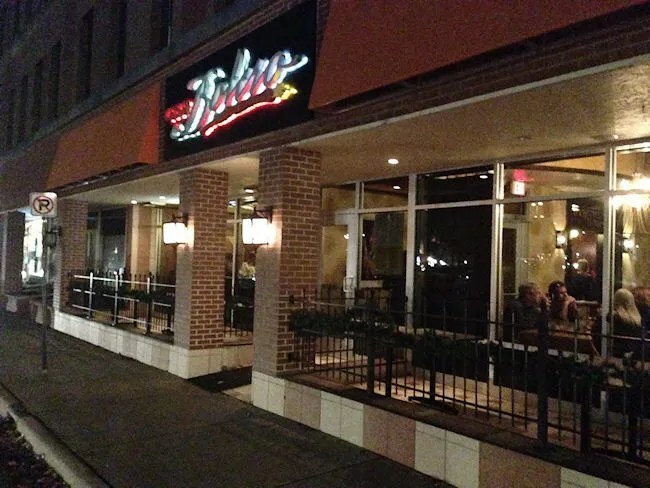 Casa Bolero bills itself as a Latin Caribbean Tapas Bar. We were considering going to Fandango for dinner just to do the tapas, so Casa Bolero worked out perfectly. 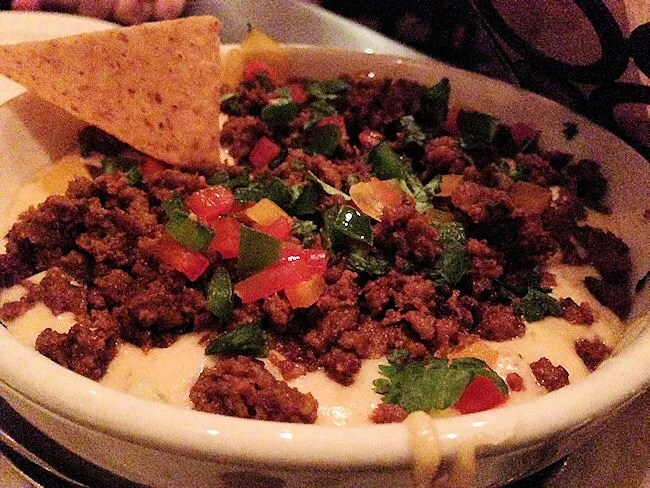 We started with the Casa Queso with Chorizo. This delectable Spanish queso dip comes with poblano peppers, onions, and chjles. We added on the chorizo for an extra $2 and I would say it was worth it. The spicy meat and the spicy cheese didn’t last long. We both greedily took spoonfuls of the cheesy, meaty dip. The queso came with corn tortilla chips which didn’t look home made to me (nor were they claimed to be), but the heartiness of them was useful in trying to pick up as much dip as possible. After the queso, the plates came out pretty fast. The next one to the table was the Roasted Chile Mac & Cheese. 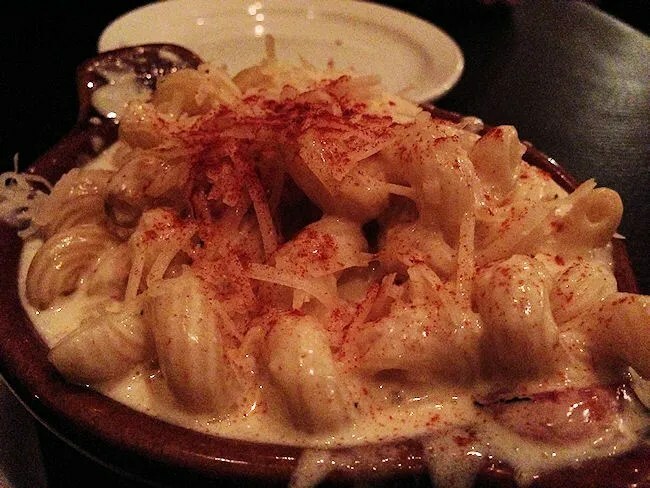 The bowl of cavatappi pasta came overflowing with the gouda cream sauce that was mixed with roasted poblano and red peppers. We were both fans of this one, but I think I liked it a little more. The cream sauce was a little thinner than a typical mac & cheese sauce so it made it a little more messy, but the choice of gouda made it a little more delicious. 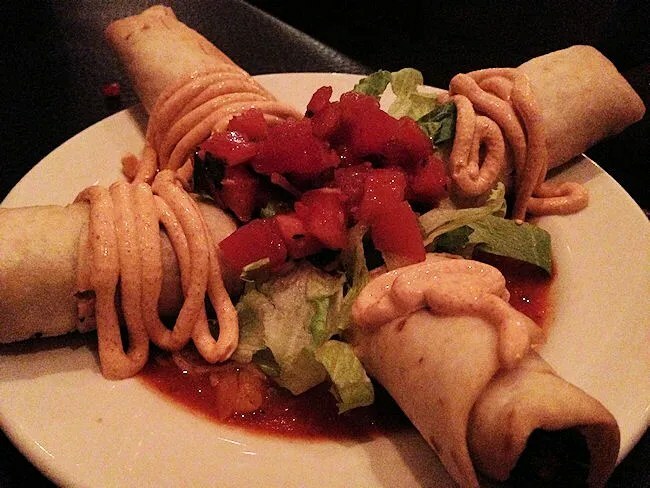 Next plate was Chicken Flautas. This simple dish is marinated grilled chicken wrapped in a flour tortilla and fried. It’s then placed on top of Monterey Jack cheese and a spicy tomato ragout then topped with a smoked paprika sour cream. I liked everything about this dish except the sour cream. I hate the feeling of something cold and something hot. The sour cream just totally threw this off for me. I peeled back part of the tortilla to get rid of the sour cream and then I really liked it. Dish number four was Chorizo Cornbread Bruschetta. I loved everything about this one. I really wanted to keep it all for myself. 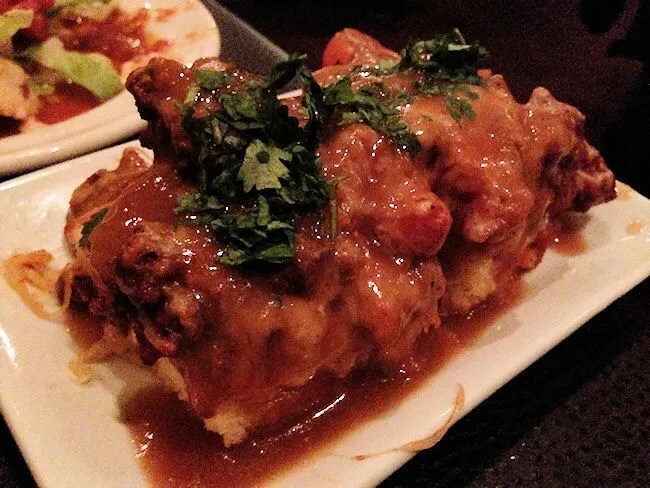 The chorizo stuffed cornbread is topped with a spicy cholula ragout, pico de gallo, and Monterey jack cheese. Oh man, this was so good. J said it was very similar to a similar dish at Station 702 which she gets often. I shared a piece with her, but I think I kept most of this one for myself. Our final selection was the Cuban Tamales. By this point, I was stuffed. I wanted to try them so I forced myself to take a few bites and I’m glad I did. We chose the chicken for this instead of the slow roasted pork because J likes chicken better. The tamales were good on their own, but it’s the sauce that came with them that won this one for J. The sauce is a housemade mole with Siracha. J was actually asking me if she could just drink it straight she liked it so much. After that endorsement, I had to force myself to take another bite to try this sauce and boy, was it good. Just a little bit of sweetness and a little bit of heat. After stuffing ourselves, J wanted to try one more margarita, so we sat there for a few more minutes so she could enjoy the drink. I was stuffed and passed on another beer choosing instead to try to eat more of the leftovers sitting in front of me. When it was all said and done, our bill came in at just a little over $53 before tip. We took up the table for quite a while, so I tipped a little bit higher than I normally would, but hey, we don’t get much alone time anymore. 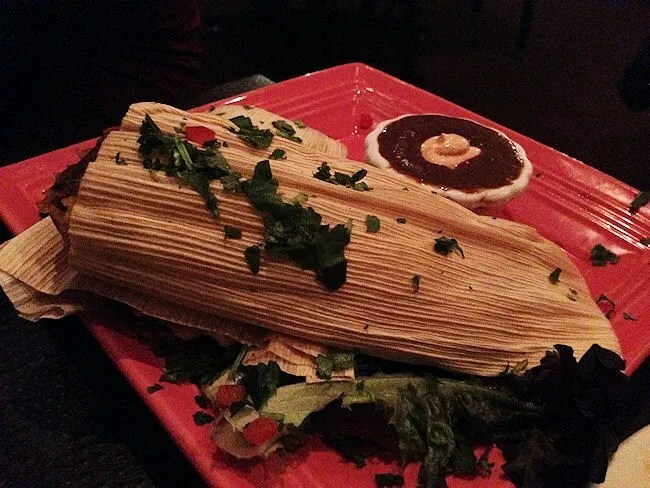 When Casa Bolero first opened, I had read so many bad reviews about the place I was wondering if it would even stay in business. The last few years, I haven’t heard anything which is typically a good sign a place is doing well. I’m very happy we finally got to try this place out. It was almost an afterthought when we were planning the night out. Both of us were very happy with all of the dishes and we were both so stuffed when we left, we went for a walk before heading back to the car. Service was a little slow, not getting the food out, but getting to us in the beginning then getting us the check in the end seemed to take forever. It was fine on this trip because we really just wanted to enjoy each other, but had we been in a hurry, I may have been a little more unforgiving on that aspect. Food wise though, we both really enjoyed ourselves.